Lose yourself in the epic romance of The Bodyguard at the Dominion Theatre in London’s West End. 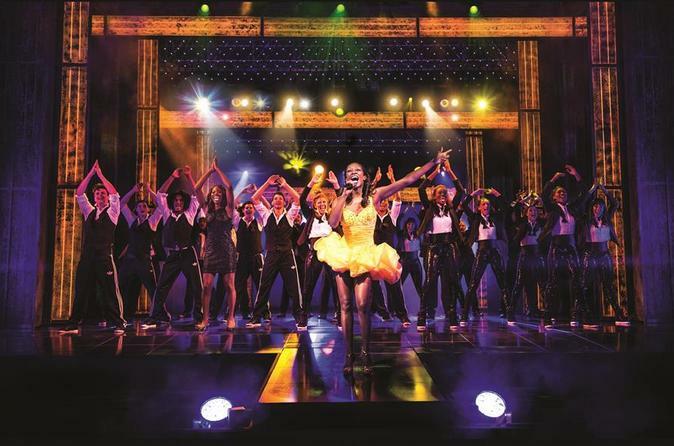 Experience the award-winning musical based on the 1992 hit movie, starring British superstar Beverley Knight and featuring classic Whitney Houston songs like ‘I Have Nothing’, ‘I Wanna Dance With Somebody’ and ‘I Will Always Love You’. Before the show, indulge in a delicious 2-course meal with wine at Planet Hollywood – the perfect way to start an unforgettable evening. Enjoy an unforgettable night out in London’s West End!